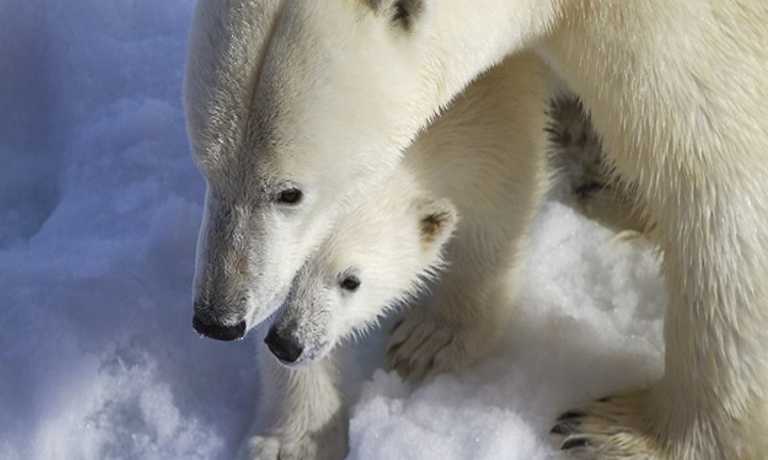 With just twelve passengers on your vessel, this is an extraordinary way to discover Svalbard. 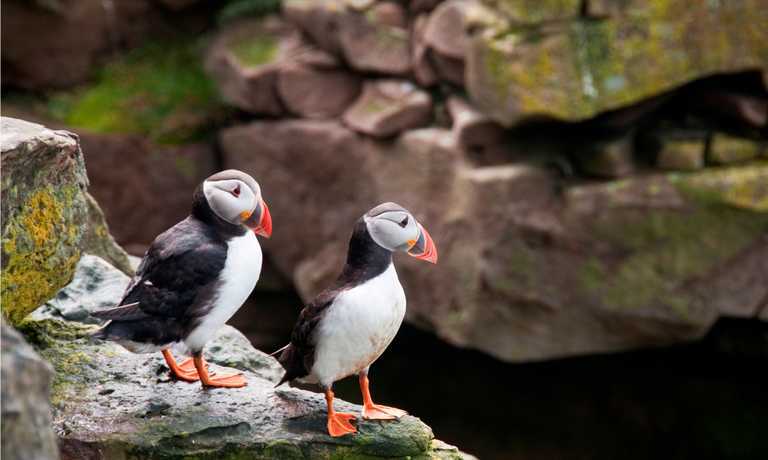 Spend days exploring the archipelago and the staggering array of scenery and wildlife that it has to offer. Board the Kinfish at 4pm from the dock in Longyearbyen and enjoy a welcome cocktail with the captain. We’ll plan to stop in at the world’s northernmost civilian settlement, the research village of Ny Ålesund, which also boasts the world’s northernmost post office. At the height of the summer season, there are about 120 inhabitants working amongst the 15 permanent research stations. It’s from here that Amundsen and Nobile initiated their courageous attempts to reach the North Pole by airship, and there are a couple of monuments dedicated to their efforts that are worth visiting. 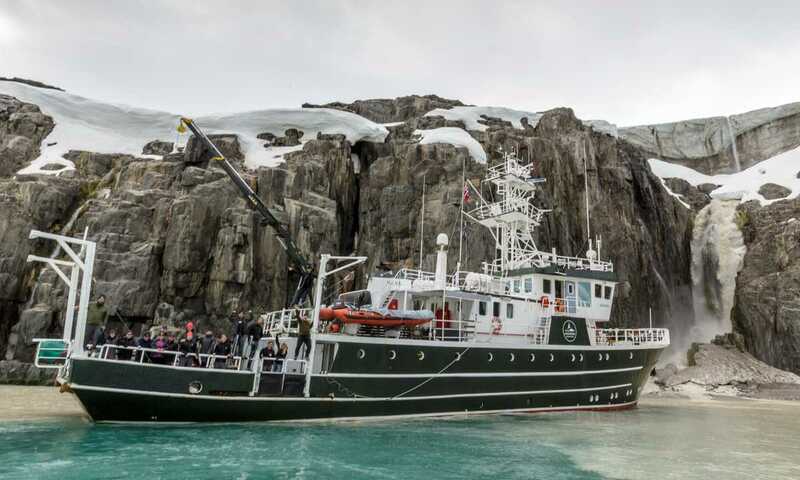 From there we’ll continue heading north, poking into other landing sites and fjords of interest, getting out into the two zodiacs to make landings where we’ll plan hikes to stretch our legs and optimize our chances for excellent wildlife opportunities. 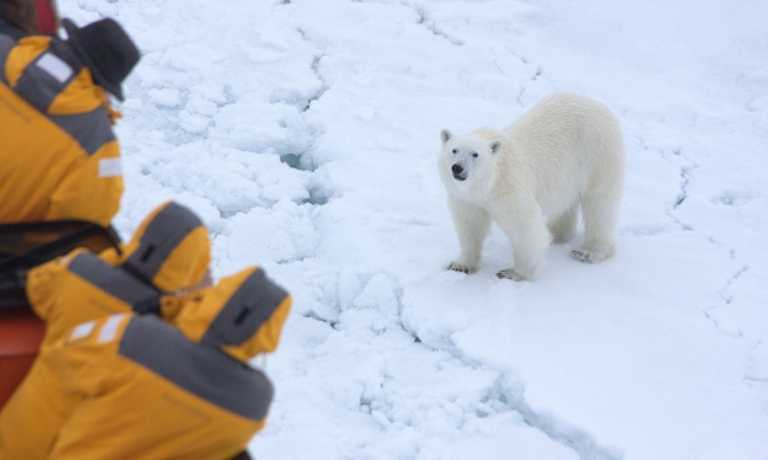 During the entire expedition, we’ll be on the lookout for polar bears, which can be spotted on land just as often as on the sea ice. There are an estimated 3000-4000 animals in the region and the population is considered to be stable. This powerful animal is amazing to behold in the wild, with males weighing up to 700kg when they are at their healthiest. If we find them, we will get as close as we can without disturbing them or putting passengers at any risk. Getting out into the inflatable zodiacs is an excellent way to safely observe the wildlife from proximity. Weather and ice conditions permitting, we’ll sail into Hinlopen Strait and plan to visit Alkefjellet (‘Bird Mountain’), a series of otherworldly basalt cliffs stretching a number of kilometres in length and in some places, up to 100 meters high,on which we’ll find thousands of nesting birds and the occasional Arctic fox hunting nearby. Nordauslandet, Bråsvellbreen, Barentsøya, and Edgeøya are all locations that we may also explore, weather and ice permitting, and offer magnificent scenery with vast tundra which hold the prospect of continued incredible landscapes and wildlife sighting opportunities. Disembark in Longyearbyen at around 0800. A great illustration of how perfect this little ship is for exploring the ice is that she was originally a research and rescue ship, saving 17 vessels from total loss during her service. She has just 12 passenger capacity and can reach places that larger ships cannot go. Facilities include two lounges and an open bridge and there are two zodiacs available for landings.